"Ambrosia" maple refers to maple wood that has been previously infested with Ambrosia Beetles. This is what causes the unique grain pattern in this piece. 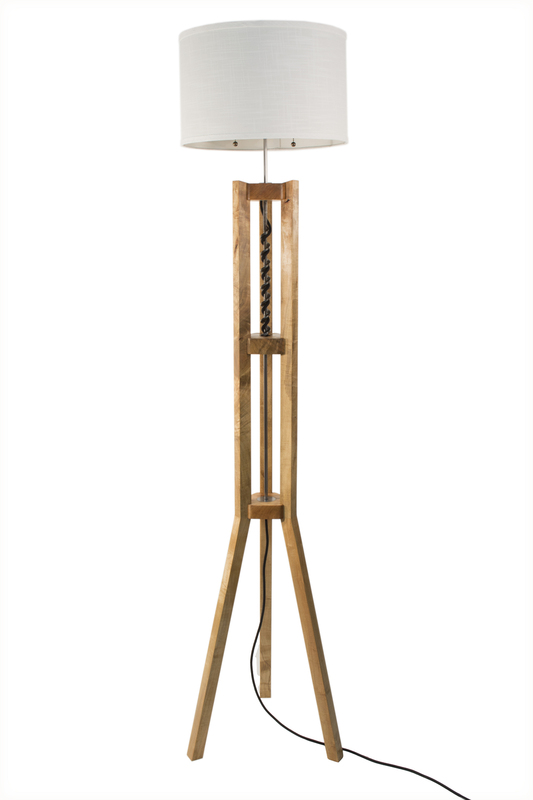 The Bits lighting series is centered around the antique Auger drill bits featured in each piece. Auger drilling has been traced as far back as 1000 BC, and these drill bits have been used for centuries in fine woodworking. These lamps pay respect to a bygone era of craftsmanship and hand power.